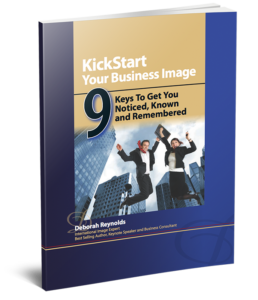 Managing Paper | Deborah Reynolds | About Face Image Consulting, Inc. When we are overwhelmed with paper, I have found that this form of clutter is enough to stop the finest of employees, managers, business owners, and executives in their tracks. Consider how much time during the day you spend looking for things or a particular document. If you find yourself searching through files and stacks of paper consider SPEED BUMPS – beautifully engineered boulevards designed to slow you down and protect you when you are most likely to accelerate, helping you to avoid unseen dangers. They are designed to help you to refocus while still allowing you to get where you want to go. Getting the paper under control requires that you schedule time in your calendar to tackle the management of paper – not to work on projects or make complex decisions. The time allotted is designed to create order and make simple decisions, not to overwhelm you. It is designed to prepare you to devote future scheduled time to process more complex actions. S SORT similar items together and keep documents for similar projects together. Initially utilize a series of bins, baskets or trays for sorting. Avoid filing as this takes more time. You want to grab a piece of paper, skim it, make a quick decision about which bin it goes into – and toss it in. P PURGE what is immediately identified as trash – throw it away or shred it. Anything which has your personal information and client information on it, account numbers, credit information needs to be shredded to avoid identity theft. E EXAMINE each piece of paper – it has to be read and understood to determine its value. Whether your handwritten notes or someone else’s handwritten notes, you have to decipher what was written. Being able to skim through the material quickly is an advantage. Developing your reading skills and vocabulary is important. E EVALUATE its importance, prioritizing as you go. Ask – is it important to you, to one of your coworkers, important for the survival of the company? If you’re not sure – ASK! Critical items needing immediate action require their own bin. D DESTINATION is to be determined for any piece of paper. What has to be done with it? Where does it go? Is it to be filed or put away? Does it need to be seen, approved or acted on by someone else – delegated? Do you have to action it? If the paper needs action by you, again you will have to schedule time to deal with it, either later in the day or at a future time. Try the this strategy on paper before you begin. B BREAK the project down into manageable tasks and manageable segments of time – 20 minutes, and if possible, break it down into 5 minute or 10 minute tasks. It is difficult to retain full focus for longer than 20 minutes. By breaking the tasks into the smallest possible manageable segments, this ensures perseverance and success, eliminating procrastination. U UNDERSTAND why you are doing the project and what results you want from completing the task. Keep the end in mind. What are you trying to achieve? What consequences do you want to avoid. P PERSEVERE, at the allotted scheduled time in your calendar, to complete the first segment, and subsequent segments, of the project. Distractions and interruptions are part of a daily routine. Be assertive with your colleagues and disciplined in your own actions. Once a segment is complete, self satisfaction is significantly increased. Confidence and desire to continue is the reward. S SYNERGETICS utilizes the full brain power of your team members. The two working together is always greater and more powerful than two individuals working separately. Different perspectives and varying levels of experience ensure greater success. Ask your colleagues if they deal with the same type of task and how they tackle it. Perhaps one of their strategies will work better than yours. We all think differently and not every strategy works for everyone.